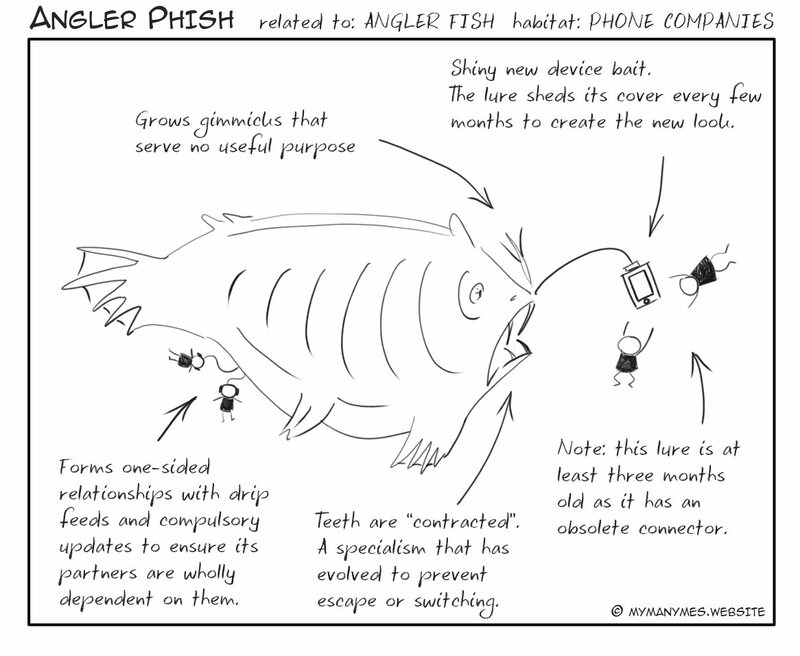 Anglerfish are so named because they are fish that fish for fish. And it's all done using lures that grow from their noses or tops of their heads. In some species, the male anglerfish are tiny compared to the female. Think basketball dates golfball. But once the two meet, they are inseparable. Literally. The mouth of the male fuses to the female's belly and he lives off his partner's blood. There are more than 200 species of anglerfish. Nature hasn't been kind to them and has beaten most pretty hard with the ugly stick. The rest were whopped with the whole forest. Please register here to win a FREE smartphone of your choice. This offer is not open to employees of MMM and its associated companies, their families and friends. You must be at least 18 years old to enter. The odds of winning are estimated at approximately 100 octillion to one.